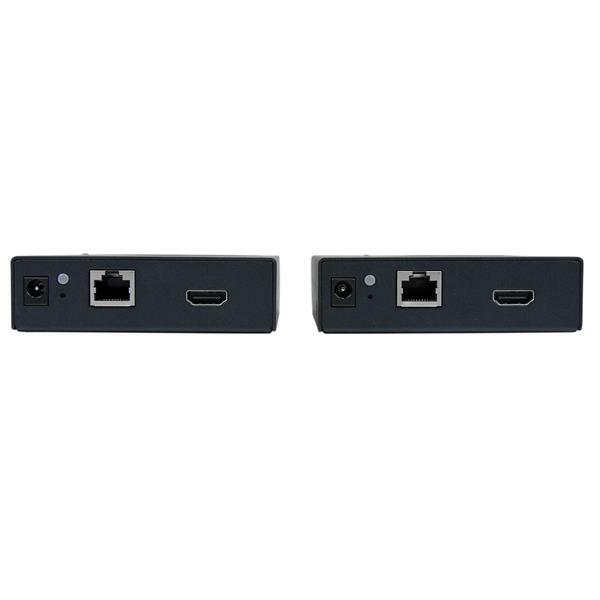 The HDMI® over IP kit lets you extend an HDMI signal over your network. 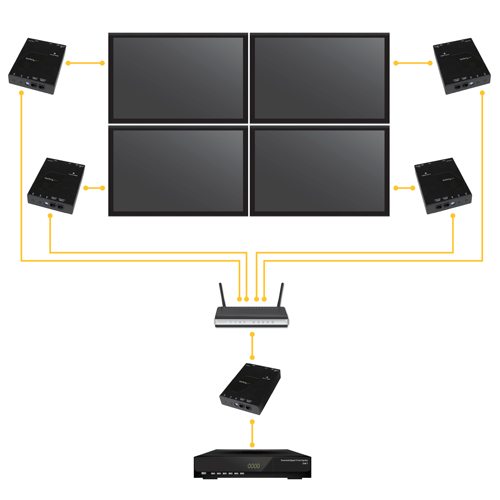 You can use additional receivers (sold separately) to distribute the HDMI signal to multiple locations and combine your remote displays to create a video wall. 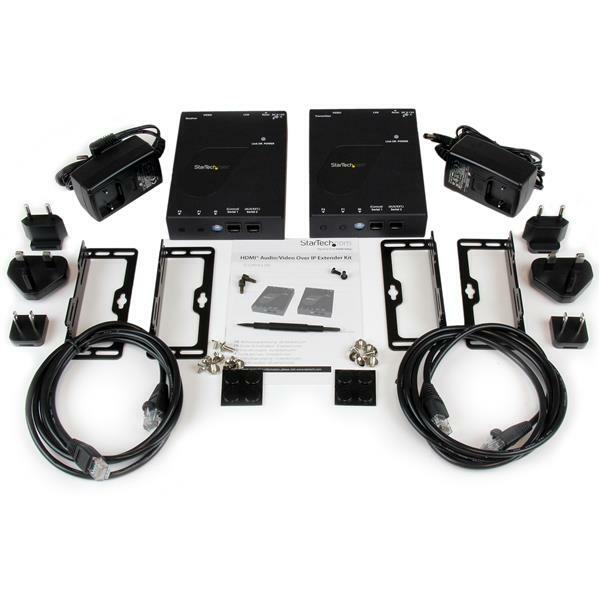 The HDMI distribution kit features easy-to-use video control software that helps you manage your IP video distribution. The app is simple to set up with automatic hardware detection, and lets you switch video sources for each remote display. 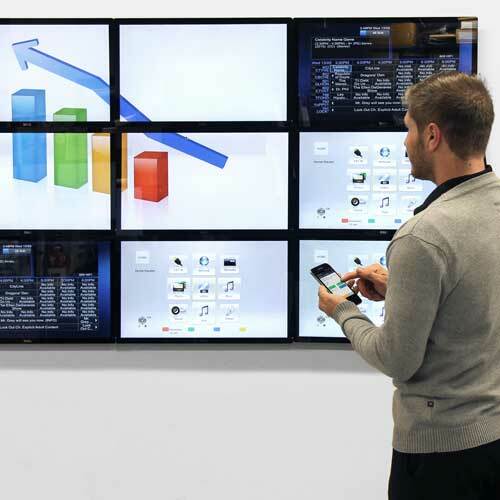 You can also intuitively create and manage a video wall for an impressive digital signage presentation to catch the attention of your audience. NOTE: Your router must support IGMP snooping. Please refer to your network switch or router documentation to ensure IGMP snooping is supported and enabled. 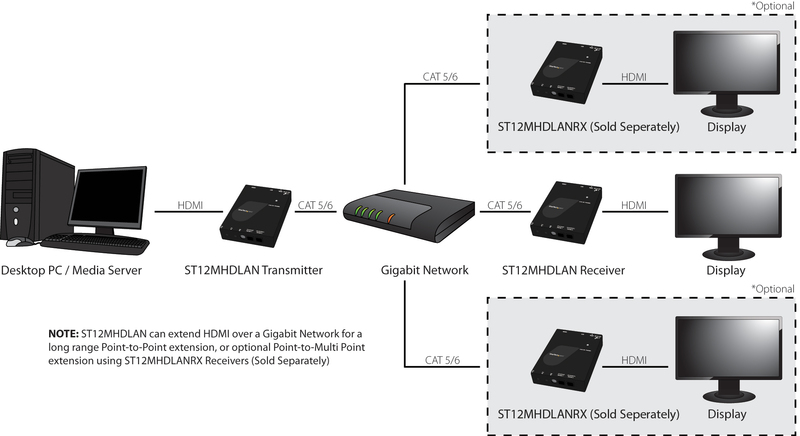 The ST12MHDLAN is TAA compliant and backed by a StarTech.com 2-year warranty with free lifetime technical support. 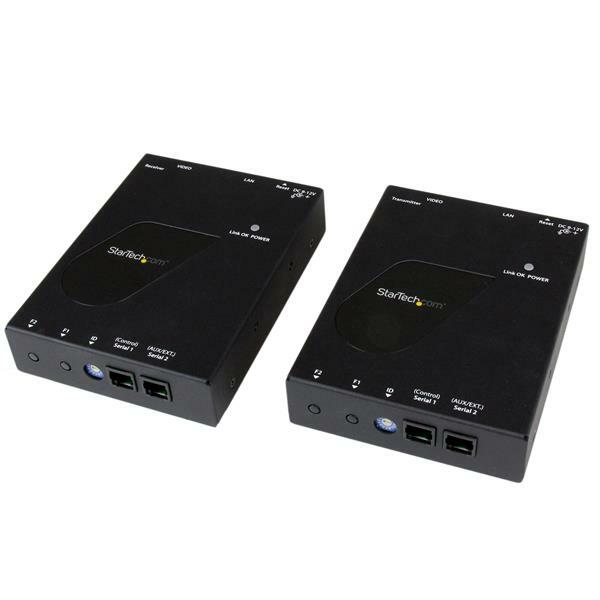 I purchased this TX / RX pair to provide a video based demo for a new gigabit networked product I am developing. Connected up to an optical gigabit network through media converters, ran HDMI video out from smartphone and display the video at a remote location possible 30 miles away. This product did the job for me with no problems... worth the investment. 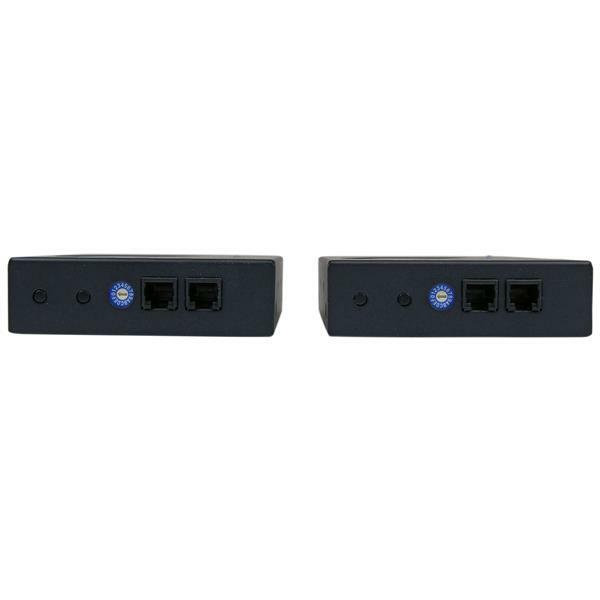 I have one transmitter hooked to a gigabit switch and two receivers. It all works as described. Picture quality is excellent! Thanks for taking the time to let us know. It's great to hear that everything is working according to plan, and that you're enjoying the picture quality you're getting from the ST12MHDLAN. We operate a church broadcast system and needed to transmit the audio and video across a 1600' RF link. The radios show variable download bandwidth between 30 and 80 Mbps. We have experienced excellent reception with no video or audio drops or freezing.